This knee wrap is made of comfortable poly cotton blend that stretches to conform to your knee for maximum support. 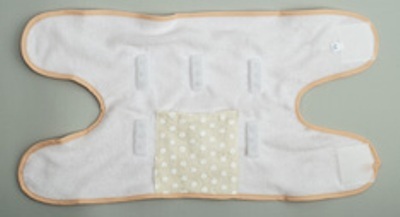 It has a 4" x 4" inner pocket that can be used for ceramics or hot and cold packs. The H design makes it easy to use with Velcro closures and keeps the back of the knee open. Uses 1000 gauss magnets. X-large Eighteen 1000 gauss magnets 17" Knee circumference.